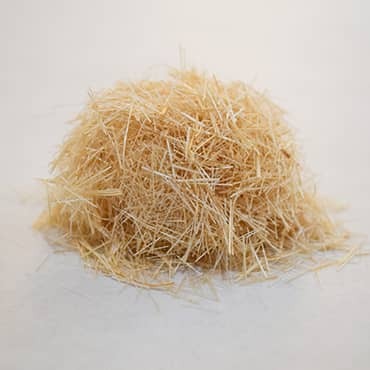 Customers often ask us where they can get abaca in fiber form. Now it is available at Carriage House Paper. 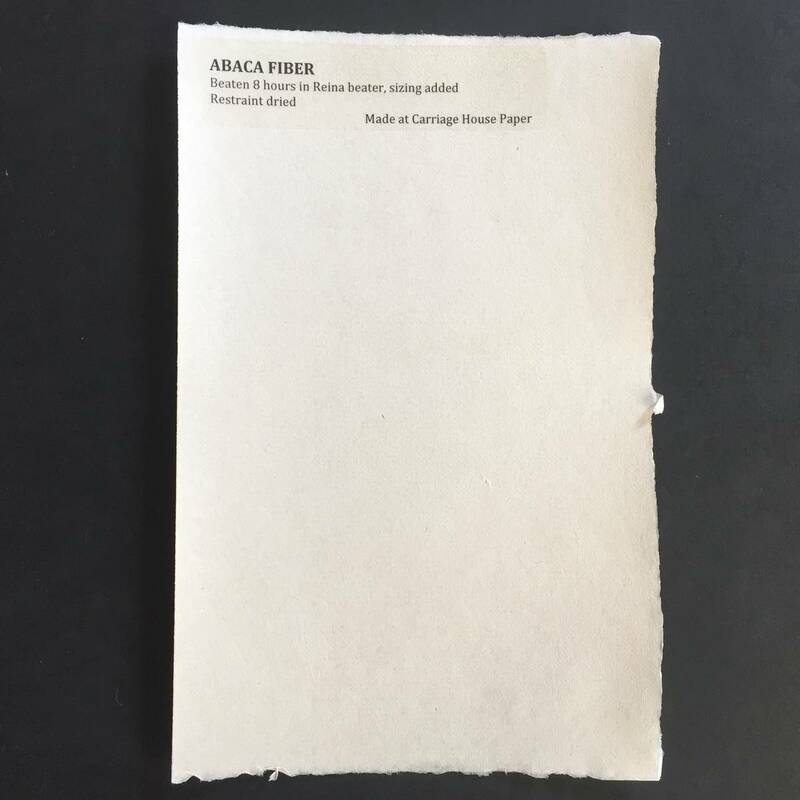 This fiber is of the highest quality and we are thrilled with the exquisite paper we have made from it. When cooked in soda ash for 3 hours, and beaten in our Reina beater for only 1 hour, it was easy to form a sheet of paper, and the resulting air-dried sheet was a dark cream color and translucent with a pronounced rattle. This fiber, botanically known as Musa textilis, comes from the Philippines. Abaca production has been regulated by the Philippine government since 1914 when it classified abaca fiber based on color, strength and cleanliness. This method of quality control has been effective and there are grading stations throughout the abaca growing regions, where independent inspectors classify all of the fibers produced. The highest quality fibers are hand or spindle stripped and are classified as an S grade. The fiber we carry is S grade.